Who wouldn't like to weave a natural learning opportunity into their student's day. Some primary age children as well as some of our ELLs struggle with learning the names of our teen numbers They can be so confusing. One way to help our students learn these numbers is to have them use the teen numbers on a daily basis. 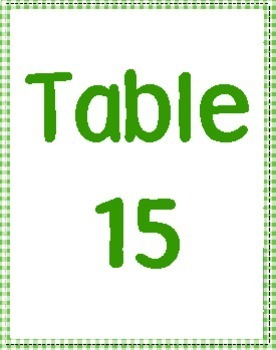 By labeling your tables with the teen numbers you are providing them with such an opportunity. 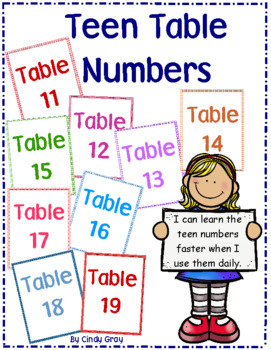 Throughout the day, every time you use the table numbers to identify a group of students, you are helping them to learn those numbers. 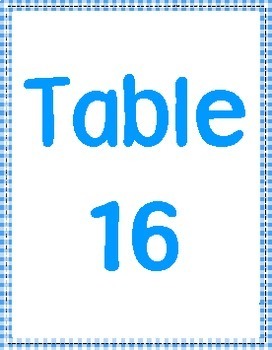 Included in this set are table numbers 11 to 19. There are four for each table number on a page. Don't forget to follow me so you'll be notified when I add new products. As always, I do appreciate your feedback.